Current Kenpom rankings do not place a single Atlantic 10 team in the top 75. Davidson ranks first among league teams at 79 with Saint Louis, Dayton, and Saint Joseph’s close behind in the top 100. VCU, Rhode Island, and UMass are in the top 135. BPI is laughably inaccurate at this time of the year (Richmond was the #2 team in the league coming into Sunday), but it also does not place a single A10 team in the top 60 at this point in the year. But this doesn’t mean a team won’t emerge. Last year, Davidson looked dreadful in November and December. The team lost by 16 to Appalachian State in November and began the year 5-7. The team figured things out as Peyton Aldridge found his three point shot and Kellan Grady emerged as one of the best players in the conference during the latter half of the season. In the end, Davidson won the A-10 tournament and finished 33rd in BPI and 43rd in Kenpom. A year before that Rhode Island came out of the gate in the preseason top 25, but stumbled out of the block starting 6-4 with several bad losses. The team’s tournament’s hopes looked dead as late as mid-February after a brutal home loss to Fordham in which they scored 43 points. The team then put things together winning out in the regular season and taking the A-10 tournament in impressive fashion. They beat Creighton as an 11 seed, and finished the year 34th in both Kenpom and BPI. The 2007-2008 Davidson team, then in the SoCon, started the year 4-6 with losses to Western Michigan and Charlotte but ended up as an Elite 8 team with a three point attempt at the buzzer to beat the eventual national champions. The team finished in the top 11 of BPI and Kenpom. This season has only just started. Freshman will improve and some players will recover from injury while others will get hurt. Teams not yet used to each other will find their way; coaches will make adjustments. At this point, we can reasonably predict the top, middle, and lower tiers of the conference. But it is more than likely that one team we think will be among the top teams in the conference ends up struggling, and that a team off to a rough non-conference start finds their footing. 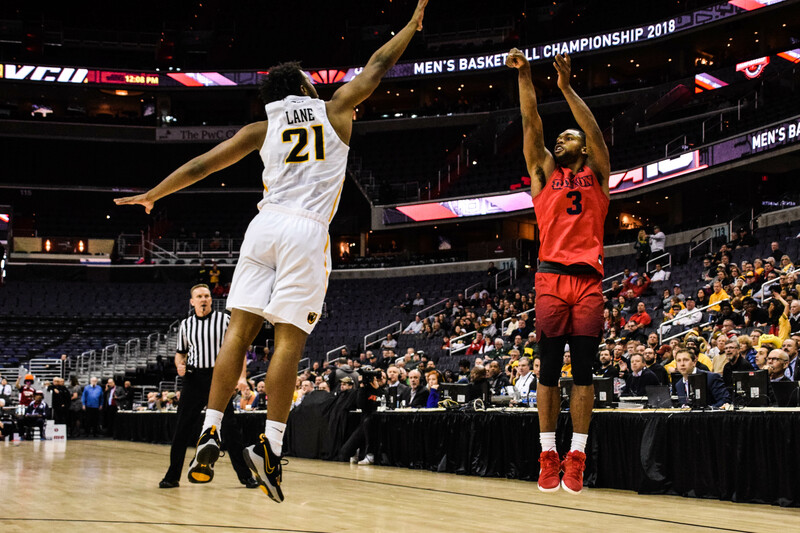 In early-mid February 2018, the conference looked like a one bid league that would need an upset in the A-10 tournament to even get two teams into the tournament. Then Davidson and St. Bonaventure got hot. It’s not easy to predict which teams will emerge as at-large contenders this season. But it would be a good bet to assume that several will do so.